Back in March, James and I got to have an adults only trip to Walt Disney World. Once we got over the guilt of leaving our little prince and princess at home, we were able to enjoy some brand new Disney experiences. It was nice to have the opportunity to go to new restaurants and do things that we don’t normally get to do when we have the kids in tow. 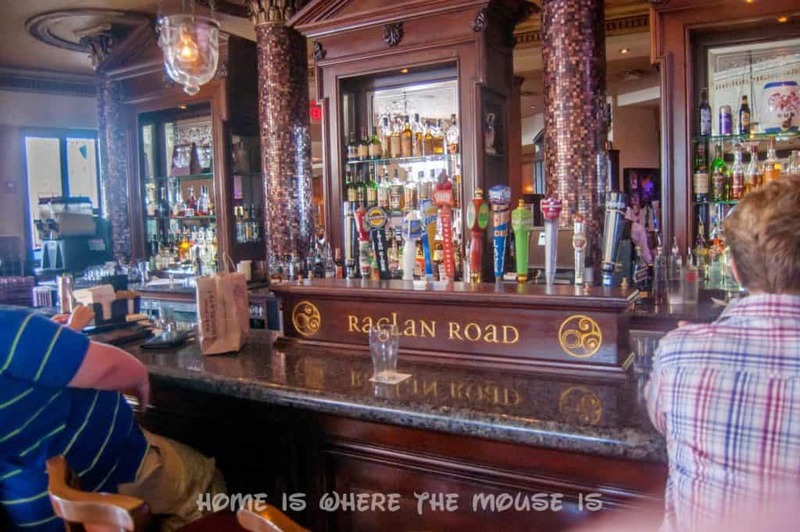 One of the new places we got to try on that trip was Raglan Road. 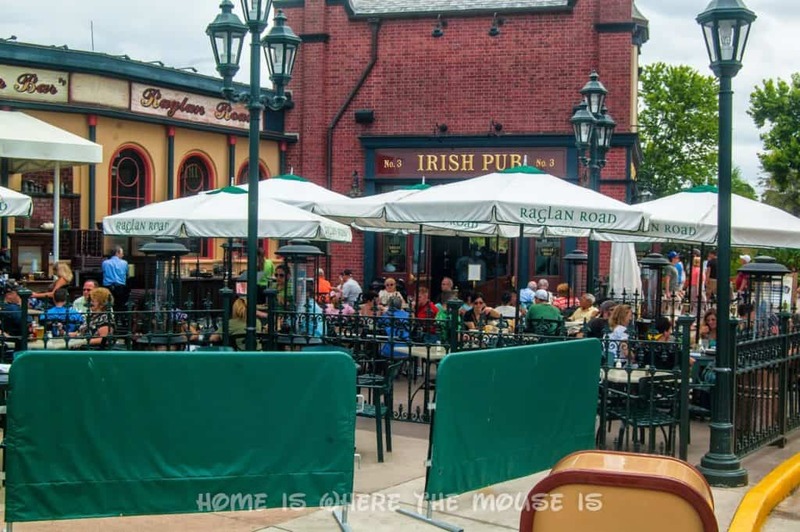 During the week, this Irish pub-style restaurant is open for lunch and dinner. But did you know that on Sundays, they host the Rollicking Raglan Brunch? It sounded so appealing, we decided to give it a try. 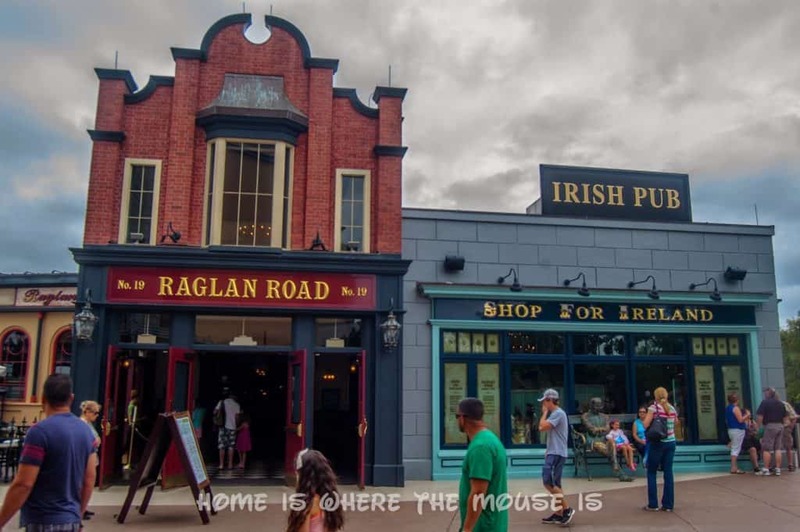 Raglan Road is located at Downtown Disney (currently being re-imagined as “Disney Springs”). 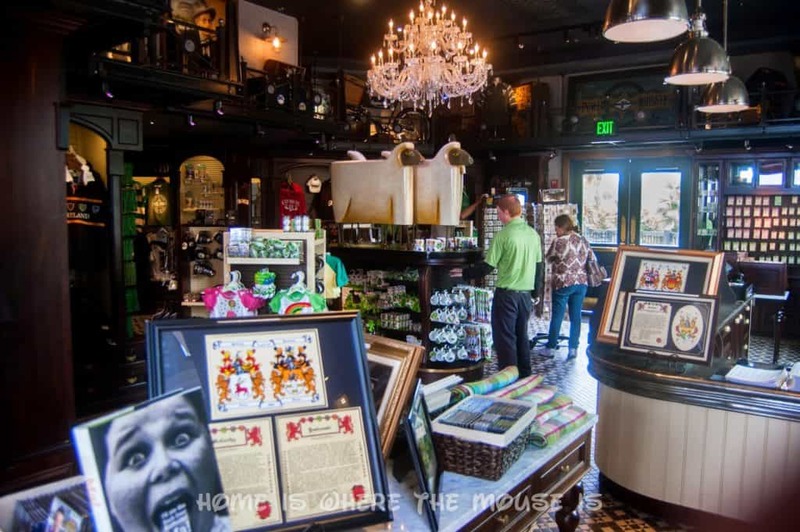 It has a restaurant, a bar, and a gift shop featuring gifts from Ireland, and an outdoor seating area. 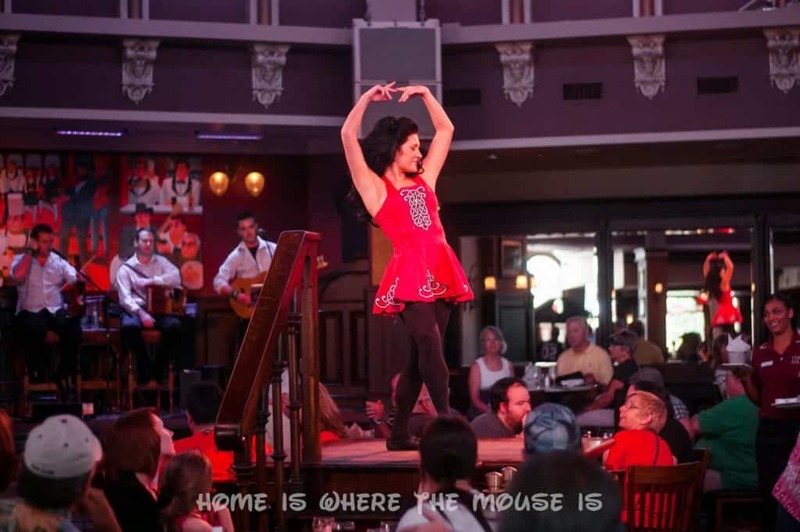 Brunch is served every Sunday from 11:00 a.m.- 4:00 p.m. After 12pm, guests are treated to live music and Irish dancing! 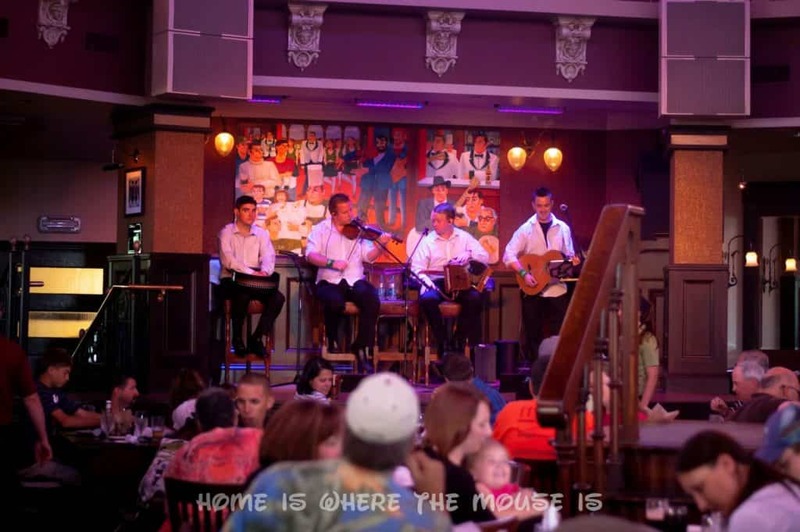 “Creel”, Raglan Road’s house band, entertains guests from the stage. They are accompanied by a troupe of Irish dancers. 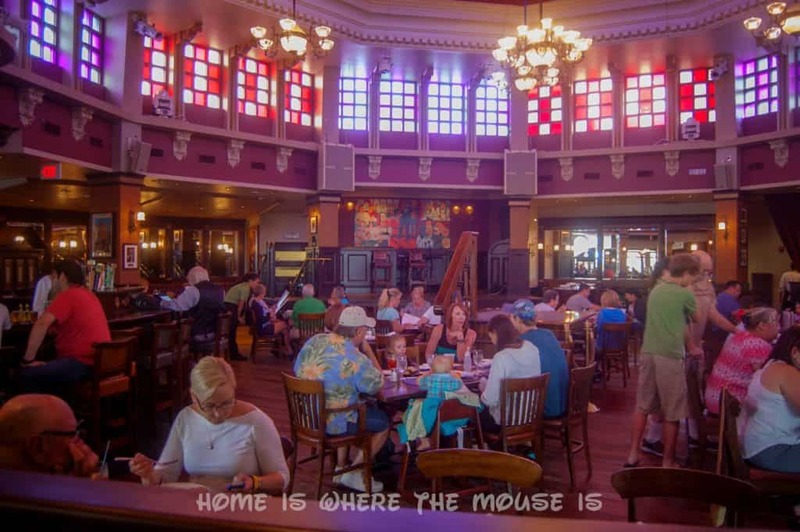 A small stage in the center of the restaurant features dancing as well. 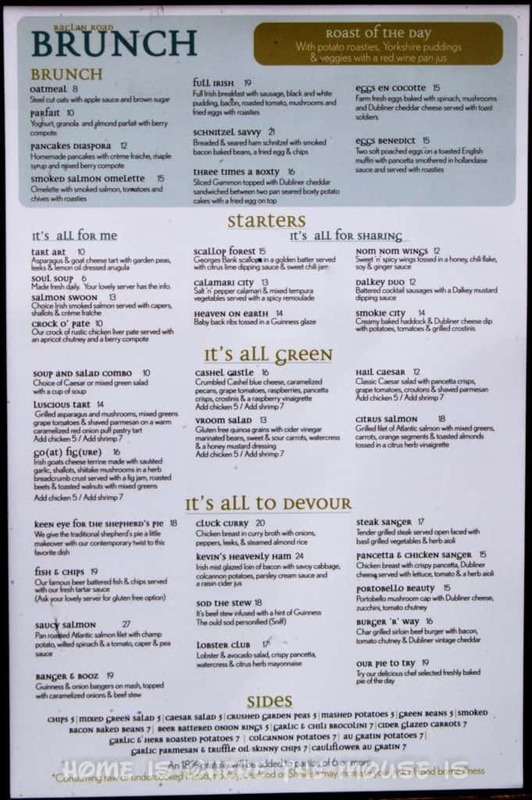 The menu is extensive. 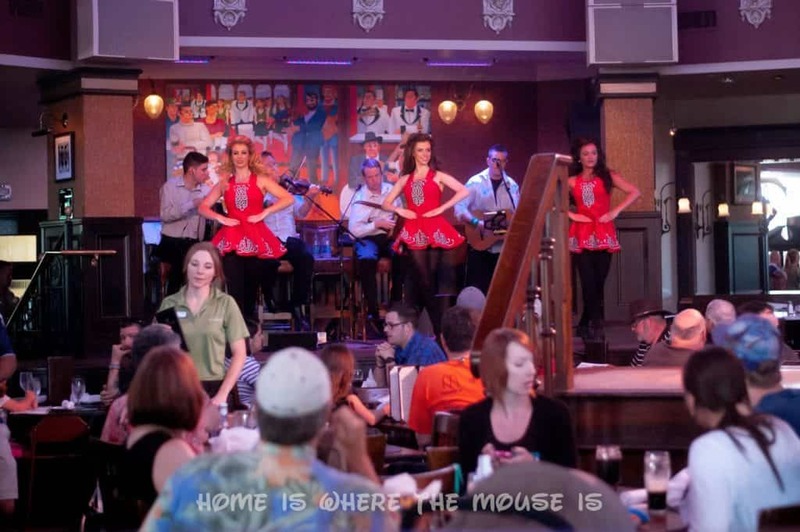 You could order anything from traditional breakfast items such as pancakes and eggs to authentic Irish dishes like Shepherd’s Pie and Banger & Booz. For parties of 4 or more, you could consider ordering Host the Roast, a traditional family style dining experience reminiscent of Irish Sunday lunch. 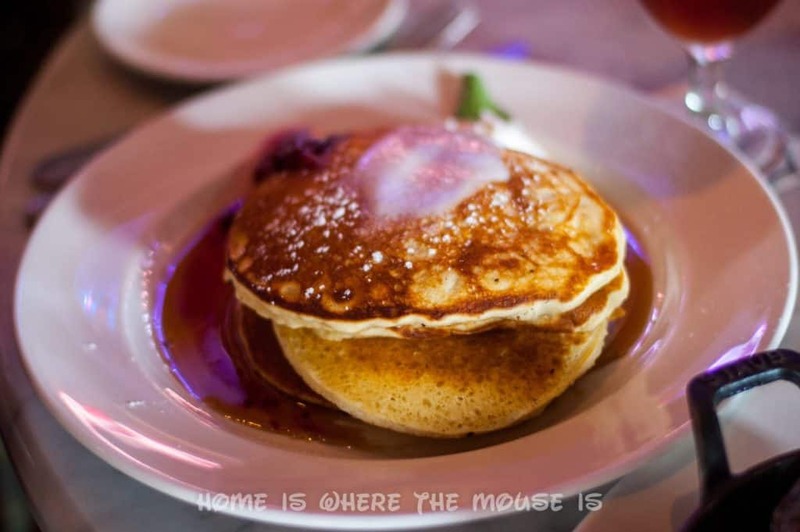 I ordered Pancakes Diaspora, homemade pancakes with creme fraiche, maple syrup and a mixed berry compote. I also had a side of garlic and herb roasted potatoes, or as the Irish call them: “roasties”. James went for the “Full Irish”, a Full Irish breakfast with sausage, black and white pudding, bacon, roasted tomato, mushrooms and fired eggs with roasties. We both enjoyed our meals. I thought my pancakes were light and fluffy. The mixture of the creme fraiche and the berry compote gave it a sweet creamy finish. James thought his Full Irish was good. He doesn’t like his eggs runny, but he wanted to try the dish as prepared. The black and white puddings were interesting. James described them as being a cross between a cake and a sausage. 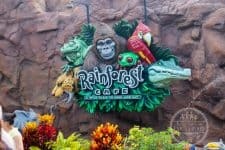 The meal coupled with the entertainment made for a fabulous dining experience. People of all ages would love it. 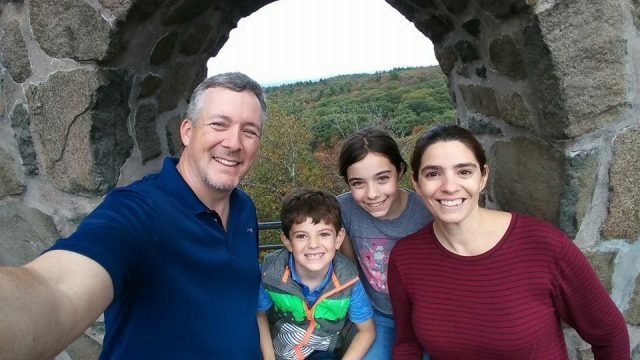 We would like to go back again with our kids. 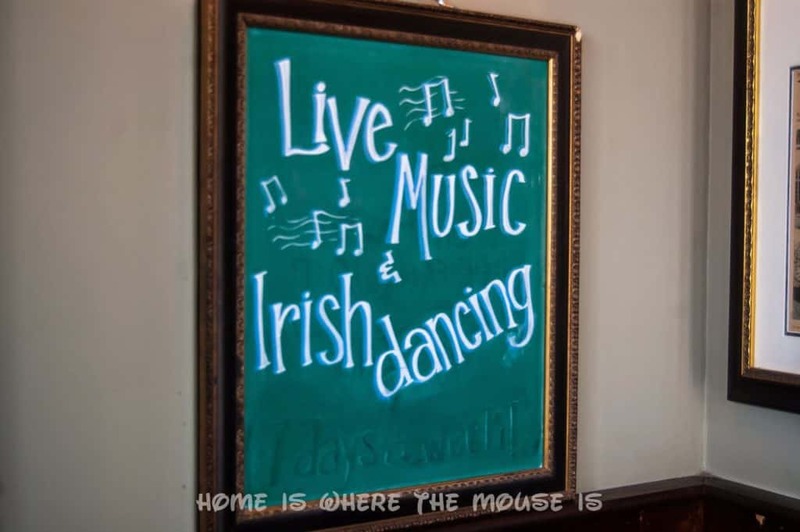 I think they would really enjoy the music and our 7 year old especially would love the Irish dancing. 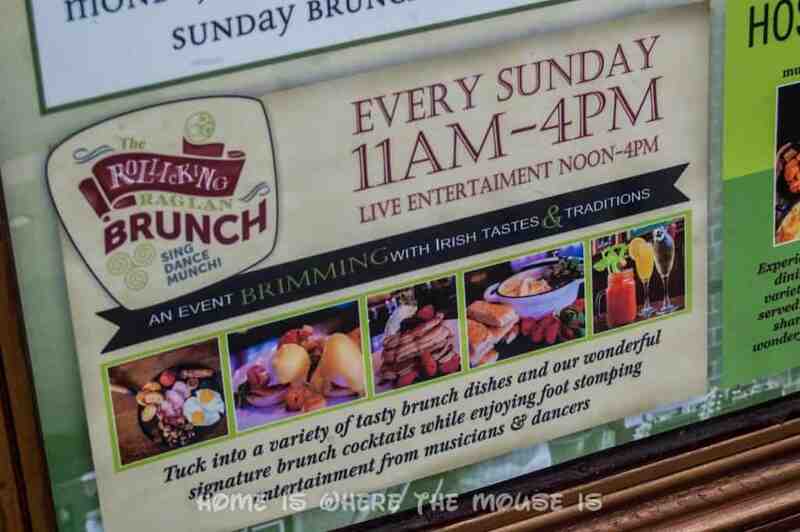 You can find the entire brunch menu on the Raglan Road website. Those "roasties" look so delicious! 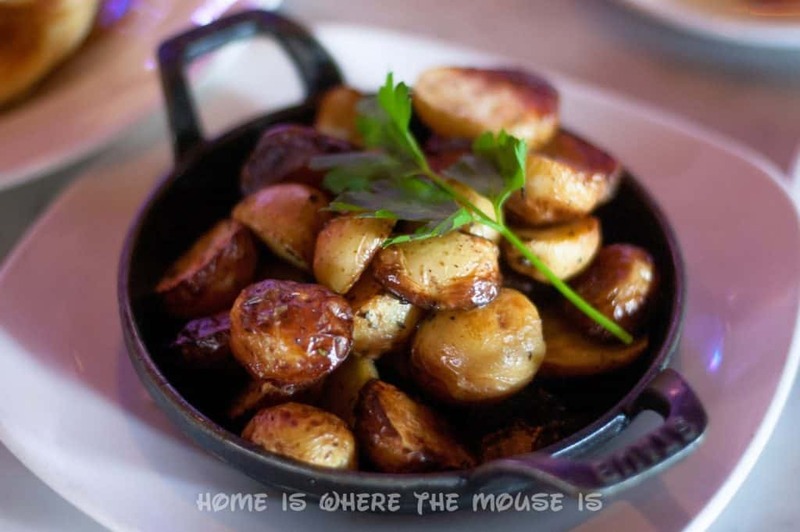 My husband and I would love to try Raglan Road sometime and a visit to Disney without the kids sounds fabulous! They were really good! I hope you get to do a solo trip. While we were sad to leave the kids home, it was nice to get away just the two of us. 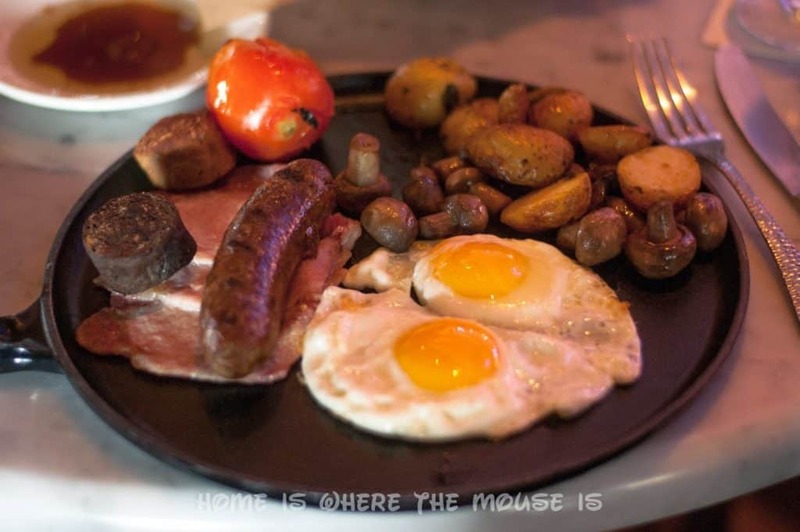 Wow that looks go good, we went on the Ireland Adventures by Disney trip a couple years ago and we still miss those breakfasts. Thanks for sharing and joining the hop this week! Wow! That trip sounds amazing! Were the breakfast foods you had similar to the ones they serve here? 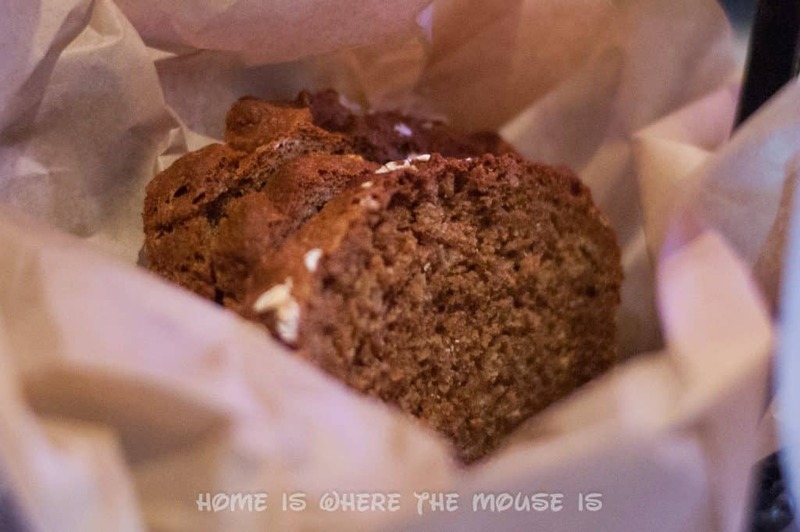 Lisa I really enjoyed reading this post! 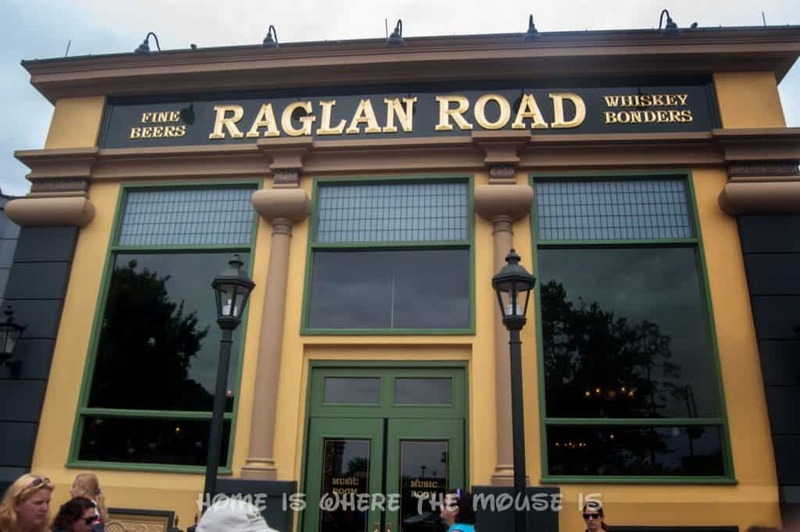 I ate at Raglan Road a few years ago, but I don't recall the dancing as part of the experience. However, I wasn't there for Sunday brunch so that could be the reason. Your photos are wonderful! They're like a group of windows allowing us to see into this fun food experience. I especially enjoyed the video! Thanks for sharing all this info- now I want to go too! Thanks, Amy! For years it has been a place we just walked by. But once I found out about the brunch I knew we had to try it. I hope you get to someday! Me Too! Looks yummy and a great time! 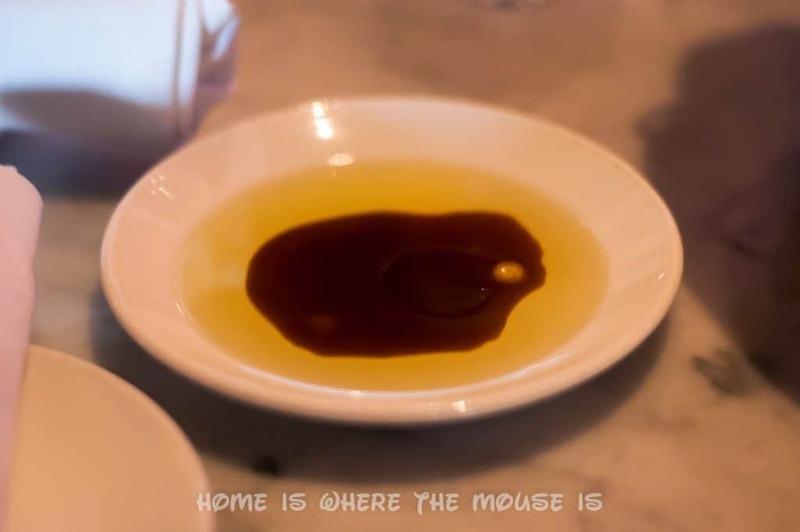 That's one restaurant we have yet to try. Ashley and I are starting to enjoy Irish food sometimes, so we'll have to give it a try. The entertainment looks like fun too. I love places where you can eat and be entertained at the same time! Disney has so many! I hope you get to try it someday!